This entry was posted in Poetry & Quotes, Solitude and tagged beauty, dew, dew drops, night, night beauty, night jewels, peace, poem, poetry, rain, raindrops, silver pearsls, solitude, water diamonds. That’s a beauty! I’m speechless. I appreciate your generosity, Soumya. Elephantine thanks for liking my little poem. Stay Smiling! Thank you dear for such a splendid appreciation. This means much encouragement. Stay peaceful! Thank you very much for your beautiful words. Coming to creativity…you are no less and I have read many of your works. My Pleasure dear Euphonos. I am glad that you considered my blog for the honorable nomination. I humbly request you to pass this honor to much deserving blog. I stopped accepting awards for a while …hope you understand. He He He….I am just decoding my own inner silence. Thank you very much for your warm greetings. Wish you a wonderful and blissful year ahead. What a beautiful poem! It’s a treat for the eyes and the soul as well. The rhymes are delightful and this is a lovely poem to read aloud. First off, I welcome your beautiful presence on my blog. I am immensely happy to read your beautiful appreciation. Thank you so much , dear Amrita for your lovesome words and warm greetings. Apologies for not being prompt. Hope you are having a blissful time. Wishing you a year full of blessings and smiles. Thank you very much Angielynn. Happy to know your kind opinion on my blog. I appreciate your beautiful presence here. I do agree…the snow fall looks just fantastic on the site. Thanks for noticing that subtle beauty. Hope you are having a blissful time. Wow…what a beautiful appreciation. Feeling elated reading your words…many thanks to you, Topaz. Penning a rhyming poem is more fun…try one.I would be glad to read yours. The image courtesy …is all Google. I have put the image link below the poem. FYI..I am not good at photography so always at the mercy of photos taken by others. The words and shape of the poem pair so well together! The eloquence is clear here! Gratitude to you, Christy. Happy, knowing your good opinion on “Winging Diamonds”. Many thanks to you for the beautiful appreciation. I too liked the diamond shape… it was just an accidental construction.but immensely happy with that. Hope you are doing all well. Beautiful and I love how it is cleverly presented too! Keep up the great writing. Thank you my dear Emily for your lovesome appreciation. and wonderful encouragement. Great words and expressions of thoughts..! Thank you so much for your generous appreciation, Tahir. Few more days…..and hopefully I will regain inspiration to blog. Welcome and my pleasure you reply dear Friend. Hope you will come soon..! Thank you so much for your wishes, friend. Stay smiling and blessed. Thank you very much Nihar for your beautiful appreciation and lovely presence on my blog. I completely agree…the picture is damn amazing…it is very inspiring too. Thank you once again for the encouraging words. Stay around and stay peaceful! Good one Reva, stay around and stay peace. It is an elated feeling when others say they enjoy my works…thanks for that beautiful feeling. Yes, but you have lovely posts to keep me meaningfully engaged…Happy Writing!!! Awww……that’s so kind of you, Nihar. Will definitely treasure this appreciation. Thanks for all the meaningful well wishes. Thanks for sharing the link, friend. I will definitely go through…very soon. Would love to drop my opinion there. Thank you very much, my beautiful Genie. I am little busy with my project work…sorry for the delay in showing up to reply. I hope you understand, sweetie. Wow…what a splendid appreciation to cherish. Thank you very much Akhiz…was busy with my project so could not reply to you promptly. checked your message just now. I have a long way to justify what you have talked about my works in comparison to the great Picasso. But I am glad..you feel so. Thanks for the elephantine support, you ever render. Thank you so much, Samjoth. Your lovely words are heartily appreciated. i’d really appreciate if you could give your feedback on my blog 🙂 thnx ..
Sure…. I would definitely like to visit your blog soon. Sorry for not being prompt as I was occupied with something very pressing. See me soon on your blog. This is lovely Reva. For me, it’s very befitting right now, because my seven year old recently took an interest in fire-flies. They really are amazing little creatures, aren’t they. Once again, you have eloquently written, and I love the visual of the poem. The photo as well is stunning. p.s. I don’t know why, but I didn’t see this post in my Reader. Ugh. Thank you Staci, for all the lovely encouragement. Yes fireflies are simply amazing. I am doing absolutely fine dear. Regarding the reader thing…I am facing similar problem from few of my favorite blogs…. as of now, I am un-following and then re-following them. This si suggested by Fred. Hope this works. By the way…the poem is not about the fireflies….it is about the water drops on leaves that shine like diamonds in the night. Oh my, was i ever wrong. So sorry dear. The lights look like fireflies. Maybe I just thought that way because my son got really into them recently. Hey..no worries….no need for sorries and all.. it happens and I understand that it was because of your involvement in your son’s project. Love you too R. Thanks for understanding. I am always grateful for the splendid and beautiful appreciation you bestow on me and my poems, Kirsten. I cherish your wonderful encouragement. Thanks for the love and ever kind words. Happy @Ms Wordsmith. sheesh this is all kinds of gorgeousness. Lol….dont you think the truly working weight loss ritual is a heaven-sent one? Rightly said… going green works…for everyonez good. I so love the perfect blending of the picture and your beautiful poem….thanks for sharing! Thank you very much, Brown… for the wonderful appreciation. Such kindness from an amazing poet like you, means a lot to me. Thank you once again for your beautiful presence here. Wow, you have post the diamond poem. And it’s in a diamond shape… Cool. Amazing elegancy comes through the water droplets in the grass- a true diamonds provided by the Nature to enjoy the moment of precious drops. Thank you so much, dear. Let me tell you this is inspired by one of your recent poem in which you mentioned WATER DIAMOND. I told you in my comment that I liked it very much. I took me several hours to narrow down on image and just few minutes to set a poem on it. Beautiful pic was all i needed. 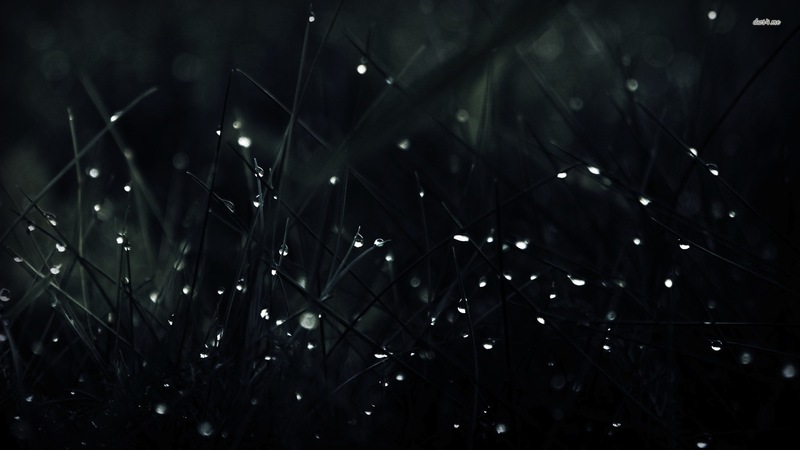 True…water droplets on grass …is simply elegant…..Mother Nature’s beautiful gifts to us. I am glad you posted it…the poem shows your uniqueness and a wonderful way with words. Thank you for the appreciation and also for the inspiration. Thank you Khushi for your beautiful appreciation. I am happy to know that it made your day….feeling wonderful. Thank you very much for stopping by and liking my post. Your beautiful words are immensely appreciated. Stay Around and Stay Happy! Reva, this is brilliant! Your words are spectacular, so visual. My favorite line that creates a marvelous image is, “Against the black nights’ velvety vest”. Thank you for a stunning poem! Please enjoy the rest of the weekend! Have a fun-filled and peaceful Weekend! Thank you for liking my post. I love this picture above and the poem. Blessings. Pleasure is all mine, Katie. I am equally thankful for your wonderful presence on my blog. I appreciate your kind words and blessings. Thanks. Peace be with you. Ahh….what a fantabulous appreciation..I am all humbled. Thank you so much my dear Chloe….your words are truly soothing. Diction is short of justifying the gracility in the luminosity. I just tried my level best. All happy that you like it. WOW WOW WOW reading your splendid appreciation, D! Feeling beautifully encouraged …….happy to realize that my efforts with this stint dint go waste. Thank you Light for your ever shining support. Okay…deal done…..Thank youzzzz bartered effectively. On a serious note…I too enjoy your company and your work. And on a friendly note….I give my poetically sculpted DIAMOND to you. Ahh…..zillion worth words, sweetie. It is my pleasure to gift my diamond to you. Big THANK YOU for”sweetest friend/ sister/ writer”…this means a lovely lot. Much love to you dear. I will definitely stay happy and warm. Thank you ever so much friend for stopping by my blog and liking my works. And this is the best appreciation I have ever received….It means a lot to me. Thank you once again for your kind and lovely words. I am humbled and equally honored knowing your wonderful opinion on my blog. Treasure this elated feelings. Stay Around and Stay Blessed! Thank you my jULIA for so much LOVE and kind appreciation. Hope you are doing well. Take care, as well. Thank you very much, dear. I humbly appreciate your kind words. By the way…its my first ever stint. Glad you like it. Thank you very much Robert for stopping by my blog and also for the awesome and lyrical appreciation. I am humbled. Stay Around! Thank you ever so much for stopping by and planting your beautiful appreciation. Thank you my dearest Tia…..totally fagged out penning and painting it. I am completely fresh to this…trying my best, experimenting with different concepts. Hope…it is not too bad. Sincerely thankful to you for the much needed appreciation. It’s a filigree work, my lovely Reva! You’re a real artist, a jeweller! Your work shines like a masterly faceted diamond! WOW! Splendidly marvelous…Thanks you so much for this pristine diamond and platinum words….Your nectarine words made my day. Thank you soooooooooooooooo much for this elated feeling, sweetie. Love you. Like all coins in chess goes inside the box after the play, so the dramatic dew transform and fly at the sight of the sun. Thank you very much, Vinz. You have put it brilliantly accurate. True….the old play runs for a while and dies to reborn as a new play. Love your interpretation. Thanks for sharing your beautiful thoughts.